MSNBC has debuted a new look for its cable channel’s Web pages. This new look comes after the split between NBC News and Microsoft and the former’s intent to separate NBC News online from the cable channel, a process which officially started in July. MSNBC.com began redirecting to NBCNews.com July 15, and the site’s logos were also swapped out. At the time, MSNBC executives promised a new MSNBC-only site in 2013, which an NBC Universal rep says is still in the works. 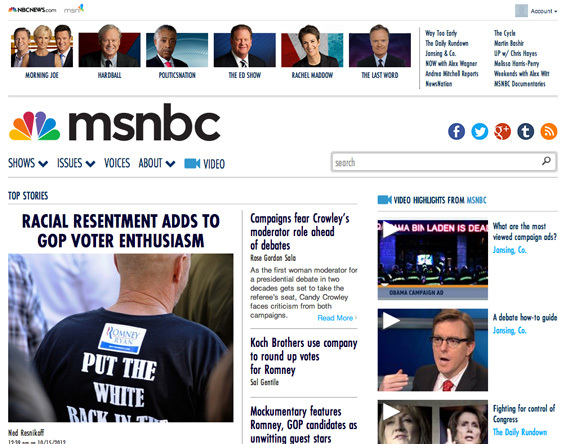 The new look features a prominent MSNBC logo set against a white background that continues on all the pages. A bar at the top of every page provides fast access to show pages and includes host photos for some of the more prominent ones. 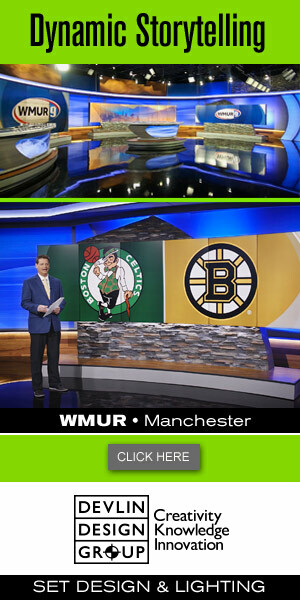 Overall, while the white background certainly is effective and gives the site a clean look, the new site also has little graphical connection to its sister channel. It would have been nice to see some subtle diagonal line banding like that found in the MSNBC on air graphics package, or perhaps more use of rectangular elements found there as well. The new site is found at the subdomain tv.msnbc.com.